Harford County, in northeast Maryland, is planning to bond for an $8 million wireless network to service local government, public safety, education, health care, and both commercial and residential needs. 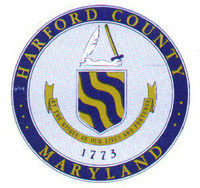 It will be called the Harford County Metro Area Network - HMAN. The current plan envisions a free tier as well as a low-cost tier intended for residential access. The network builds on fiber connections built with stimulus dollars, likely the OneMaryland network that touches every county in the state. This project will make those connections available to far more people and businesses. But the Baltimore Sun is asking some difficult questions - including whether it makes sense to use long-term bonds for wireless networks, where the technology may change significantly in a few short years. The problem for Harford County is that while the wireless technology may change rapidly, the private sector is not meeting their needs and they need better access to communications now. We are generally skeptical of solutions that envision wireless as the sole delivery mechanism for broadband to the home or business, given the much higher capacity and reliability of fiber-optic connections, but as long as the County is already building a network needed to ensure public safety departments and other local government mobile needs are met, it may certainly make sense to spend a little extra to offer residential and business access.